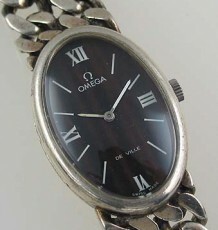 This only the second example of this wild vintage Omega watch I have ever seen. 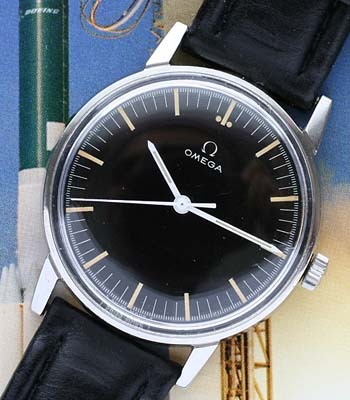 The case reference is the same used as the manual wind Omega Seamaster 600, a classic sporty manual wind watch made in the 1960’s. The major difference with this model is the all original black dial that is identical to an Omega Speedmaster without any Chrono functions. Even the hand set is virtually identical to a set of hour and minute hands from a Speedy. 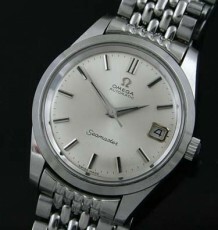 The watch features a solid stainless case bearing a reference of 135.011. 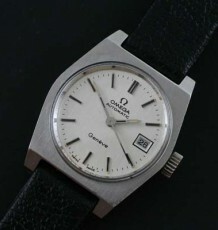 The original Omega steel signed crown is still fitted to the watch. The manual wind 17 jewel calibre 601 Omega movement has just been serviced as it has been sitting in a safe for so long and is keeping excellent time. 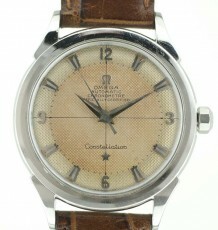 The serial number dates the watch to 1966. The watch measures 34.5 mm wide by 40 mm long and will be supplied on a brand new leather strap.